You’ve seen them in movies, books, and television. Maybe even your own imagination. Mermaids! 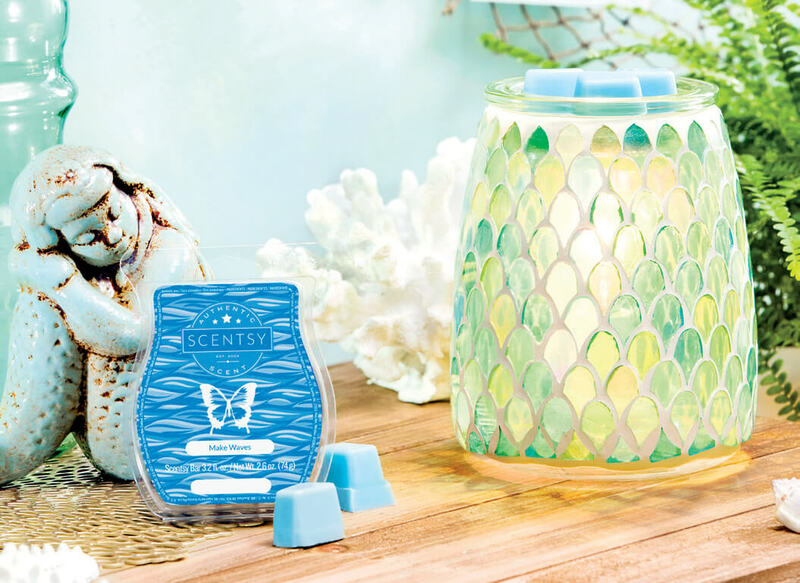 You’ll be captivated by the beauty of this warmer, shimmering like a beautiful mermaid’s tail. Carve out your own legend with brilliant “scales” that twinkle in oceanic greens — from seafoam to turquoise — while casting beautiful patterns across any surface. Available for $45 (a 10% discount during the month of March 2019). Normally $50. What do you think Mermaids might smell like? Fruity mist, sea salt, crashing waves? Now you can make your own waves in a wash of Icelandic water tumbling with dewy greens and apple blossom. You can pre-order your own Mermaid Glass and Make Waves with me today!